Questions and multiple choices on exams are not repeated, so don’t try memorizing them. Instead, learn how to take the test. 98% successful pass rate – 20+ years. Time-Tested And Proven. Are you ready to pass? You have to picture me with active children — each day. I’m always happy to give a testimonial about your products because they are all good. All my students, from way back, loved the dictation material “Popcorn Q & A” and the books: WKT CSR, RPR, RDR Text, Workbook, and Companion Study Guide. 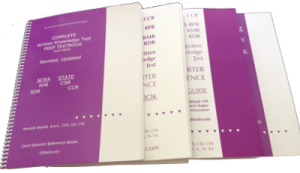 Your Handbooks are great! And the Sports ‘CATapult’ CD is fun to work on. Monette Benoit’s ’CATapult’ CDs are my ticket into the broadcast captioning arena. They are a very important part of my practice routine and have helped me immensely. The CD’s are yet another example of Monette’s high-quality resources that are available to help us all be better reporters and captioners. 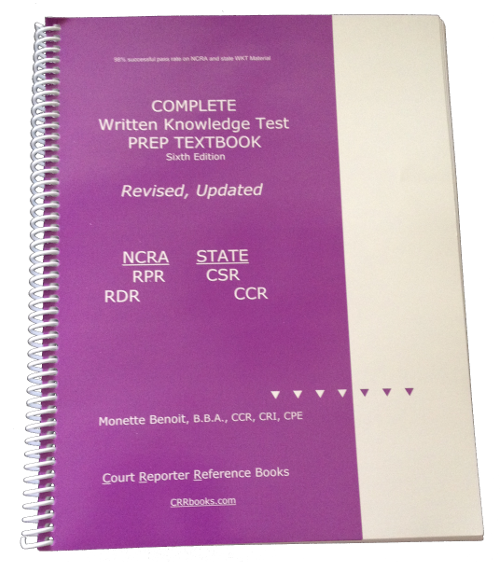 Much of the information that I studied from Monette Benoit’s material appeared on the NCRA RPR written examination. 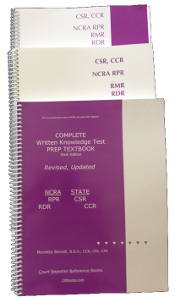 The success that I had in passing the NCRA RPR Written Knowledge Test, WKT, is due to several factors. One major factor is the use of the study material written and taught by Monette Benoit. This study material consisted of information derived from years of personal experience and knowledge as a court reporter. This information combined medical and legal terminology, spelling, vocabulary and grammar, as well as reporting procedures. I wish you much success in the distribution, which has so much of merit I recommend it.